Dwarka Somnath package from Delhi is a temple tour to Dwaraka and Somnath and includes some of the famous temples and religious places that are closely associated with Lord Krishna and his life. 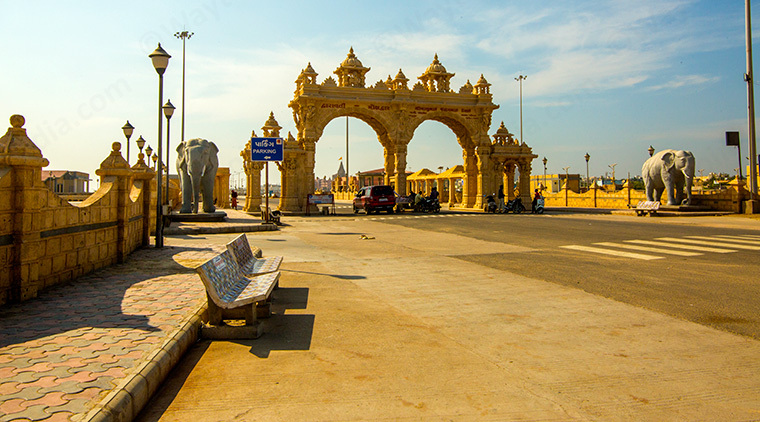 This Dwarka Somnath tour package shall make you experience the vibrant Gujarat. Visit Lakhota lake and museum at Jamnagar. Visit Somanth and Nageshwar Jyotirlinga. Visit Dwarkadheesh & Bhet Dwarka Temples. 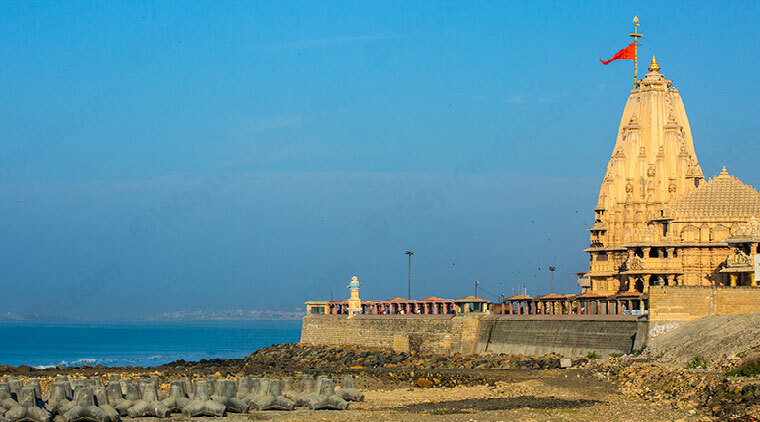 Dwarka Somnath package from Delhi is a temple tour to Dwaraka and Somnath and includes some of the famous temples and religious places that are closely associated with Lord Krishna and his life. Stopovers at palaces, forts, lakes, and museums would make Dwarka Somnath package from Delhi diverse and appeal to the diverse needs and tastes of the travelers. 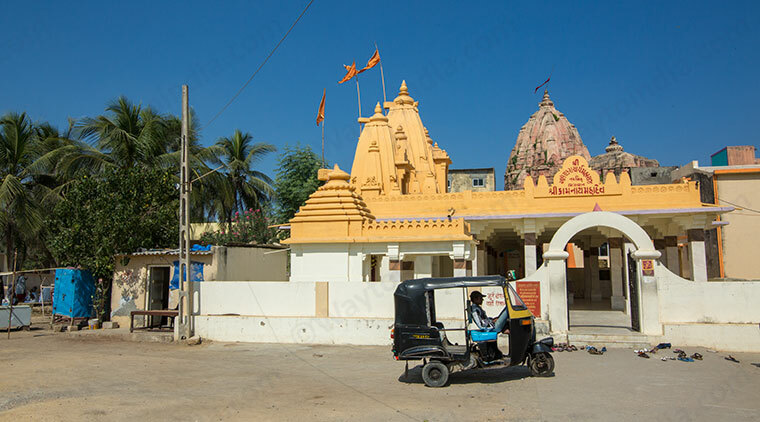 Few of the main attractions of Dwarka Somnath package from Delhi are a visit to Shri Dwarkadhish Temple at Dwarka, Somnath Jyotirlinga ,visit to Nageshwar Jyotirlinga, Kirti Mandir at Porbandar, Junagadh fort at Junagadh, Jalaram Temple at Virpur and Swaminarayan temple, Navlakha Palace at Gondal, Adalaj Step well, Akshardham Temple (Monday holiday) and Gandhi Ashram. Thus, this Dwarka Somnath tour package shall make you experience the vibrant Gujarat state of India with a visit to some of the most enchanting places. •	Personal expenses including telephone calls, laundry, tips, liquor etc. Dwarka is one of the four prime pilgrimage destinations of Char Dham Yatra. It is a Moksha Puri where one is believed to achieve salvation. The original Dwarka was ruled by Lord Krishna as Dwarkadheesh. It is now believed have been immersed in the sea near the present day town that you would visit during Dwarka Somnath tour. According to mythology, Somnath Temple was first built by God Soma (moon) in gold. He is believed to have performed tough penance and pleased Lord Shiva to get rid of the curse of darkness. 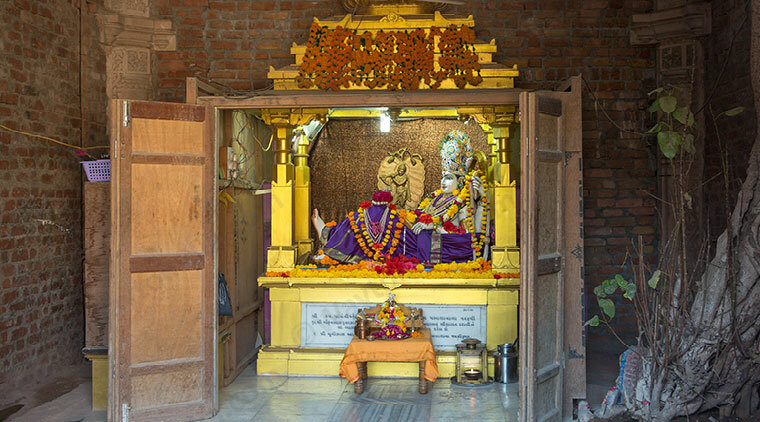 The temple was next built in Silver by Ravana and in sandalwood by Lord Krishna. Somnath Temple was looted numerous times by the Muslim invaders. It was reinstated every single time by the ardent Hindu devotees. Banastambha on the Somnath Temple’s sea-facing wall points towards Antarctica. It points in a way that no piece of land falls on the straight line. Bhalka Teerth near Somnath Temple is the place where a hunter’s arrow hit the feet of Lord Krishna. It is believed that he then ascended to his heavenly abode. 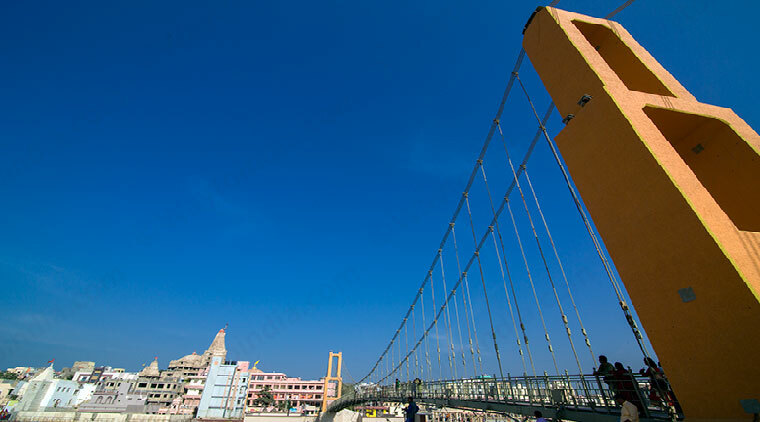 The best time to plan Dwarka Somnath tour is October to March when the region experiences a pleasant winter season. Kartik Purnima in November/December is considered highly auspicious to visit Somnath Temple. You may also plan the tour during Shivaratri in February/March. Janmashtami in August/September is also a popular festival time at Dwarka. • Leather items (belts, wallets, handbags), eatables and electronic gadgets (cameras and mobile phones) are not allowed inside the temples of Dwarkadheeh and Somnath. • Mangala Aarti timings are 06:30 a.m. at Dwarkadheesh Temple and 07:00 a.m. at Somnath Temple. • You can perform Gangajal Abhishekam during Dwarka Somnath tour. The cost of Abhishekam is INR 150 at Somnath Jyotirlinga. 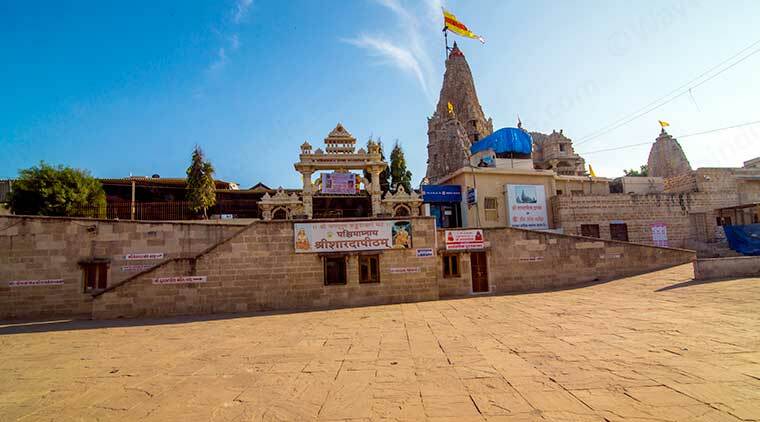 • Consumption of Alcohol and Non-Veg food is prohibited during Dwarka Somnath tour.